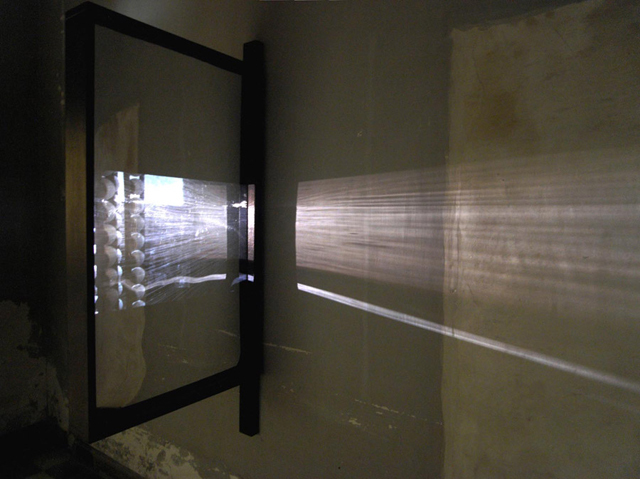 Materials: Slide projectors, black and white slides from 16mm film, colour slides, mirror film, cotton sheet (100% combed Egyptian cotton with 400 thread count, weaved to 310cm width, manufactured by Peter Reed, Royal Warrant of Appointment to Her Majesty The Queen), timber framing, blackboard paint, dimensions variable. 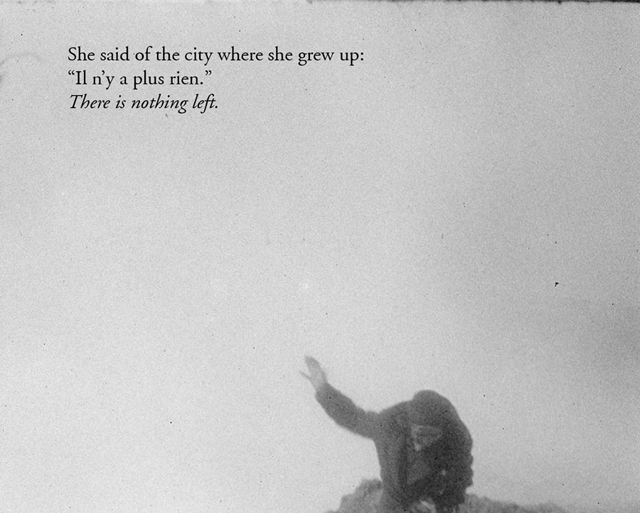 A woman describes the city of Alexandria, saying “Il n’y a plus rien” (there is nothing left). 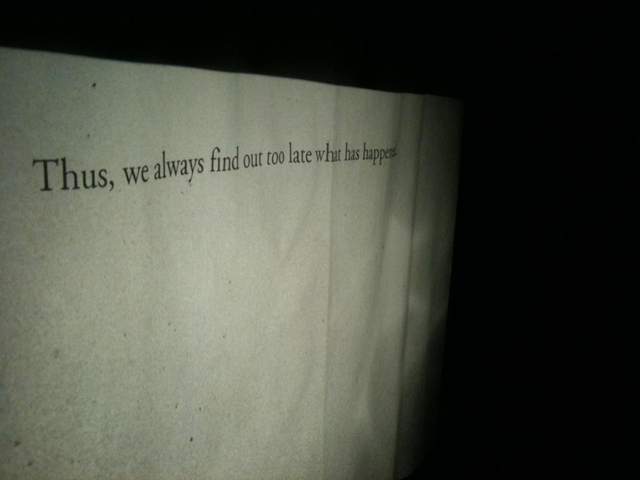 The sentence turns into a refrain, addressing the difficulty in exploring the past and seeing the present. 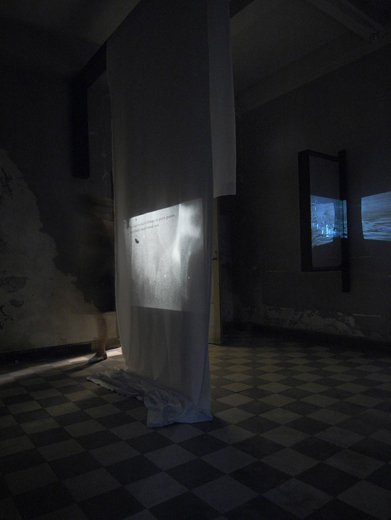 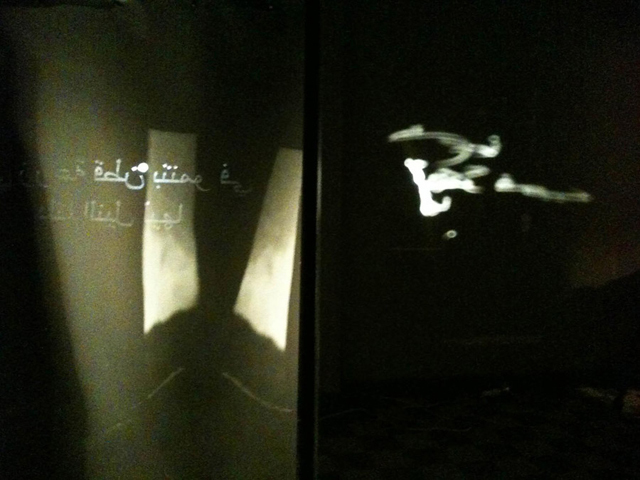 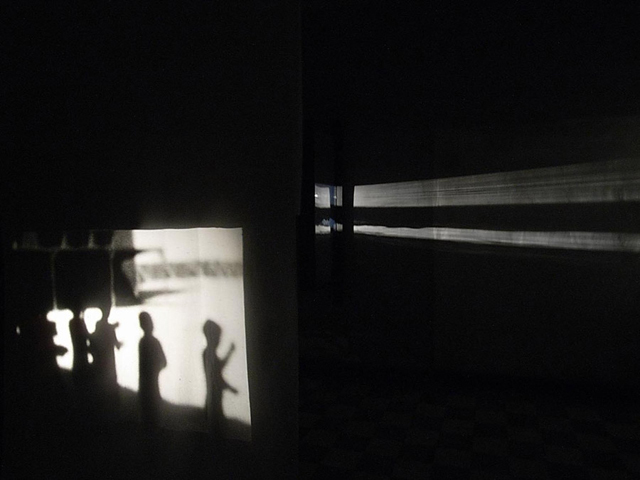 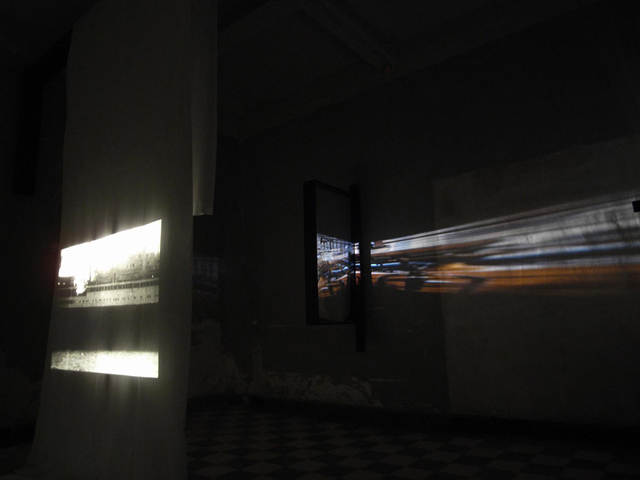 Two sequences of slides unfold between a curtain and mirrors: the first follows cotton production starting in Alexandria in the first half of the century and ending at the now-shut cotton mills of Lancashire, England; the second is an individual story of departure from Egypt, thus forecasting the massive leavings to take place a few decades later. 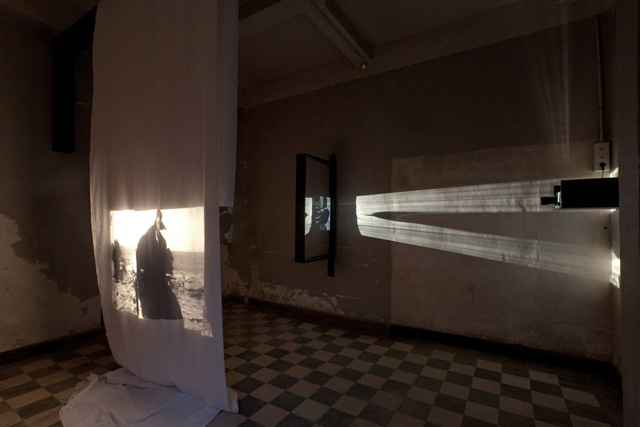 The projections and reflections reconnect these two intimately related movements, and open up the uncomfortable negotiation between the many levels of daily life, shifting between the personal, the social, the political and the affective. 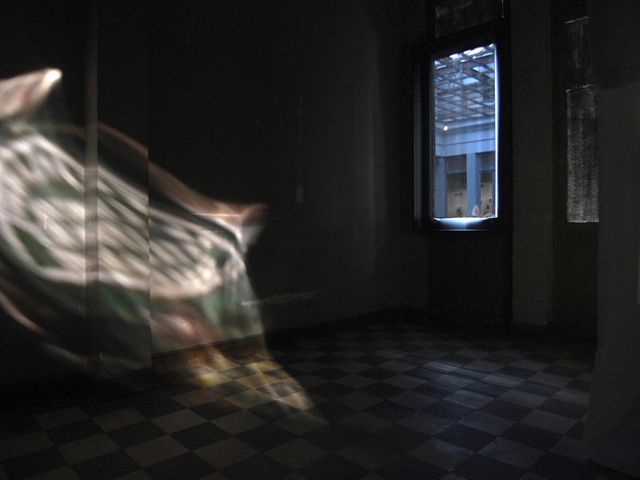 "Il n'y a Plus Rien"